The company is gearing up to bring the world's longest lived and most popular trading card game to the world's most popular mobile operating system. 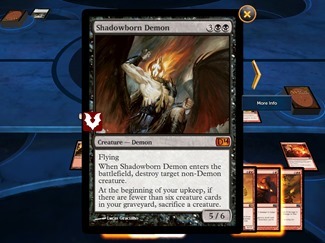 Magic 2014 will be the first in the franchise to add Android to an already significant list of platforms including iPad, Xbox Live Arcade, Steam, and Playstation Network. Players are invited to join in on a new chapter in the Planeswalker saga, partnering with the fiery pyromancer Chandra Nalaar to take on a mysterious and powerful new enemy. Wizards of the Coast is making a big push with this edition, adding new features, another play mode, and significantly more content. The company promises that the digital game's integration with the Core Set (cards sanctioned for use throughout the year in tournament play) will evolve into a major "end-of-summer Magic Celebration" that brings together fans from around the world. Attendees to the PAX East conference are encouraged to drop in on the Magic: The Gathering booth to try a demo of the new game, and pick up exclusive swag based on characters and artwork from the upcoming card set. Unfortunately, the announcement lacks any release dates or hardware requirements, noting "Launch timing may vary by platform and region." Given the exclusion of the iPhone, it seems likely that the game will require a tablet to play. Fans have been overwhelmingly happy with the quality and production value of the series thus far, netting a score of 4.5 stars for the 2013 edition on the iPad. March 21, 2013 - RENTON, WA – Ignite Your Spark! 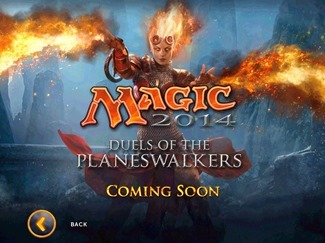 Wizards of the Coast today announced the product lineup for Magic™ 2014 this summer, which includes the Magic 2014 – Duels of the Planeswalkers® video game* and the Magic 2014 – Core Set for the paper trading card game (TCG) and Magic Online®. 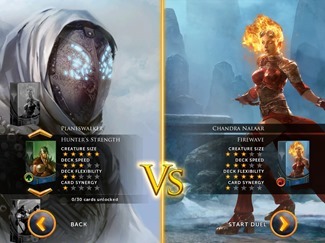 Available on the Android™ platform for the first time ever in addition to iPad®, Xbox LIVE® Arcade, Steam® and PlayStation® Network, Magic 2014 - Duels of the Planeswalkers will offer players exciting new features as they partner with Planeswalker Chandra Nalaar to track down a manipulative and dangerous Planeswalker foe. An immersive storyline and strong integration with the Magic 2014 - Core Set ties the experience together for players, culminating in an end-of-summer Magic Celebration that brings all Magic fans together in stores across the world. 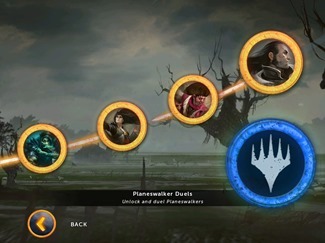 Magic 2014 – Duels of the Planeswalkers builds on the success of previous games in the franchise and adds all new features including an immersive storyline, 10 brand new decks, 15 new encounters, 10 new puzzle challenges, and an all-new play mode in addition to other exciting features. Magic 2014 players will get the first look at cards from the Magic 2014 - Core Set in Duels of the Planeswalkers, creating even more seamless integration between the online and offline games. 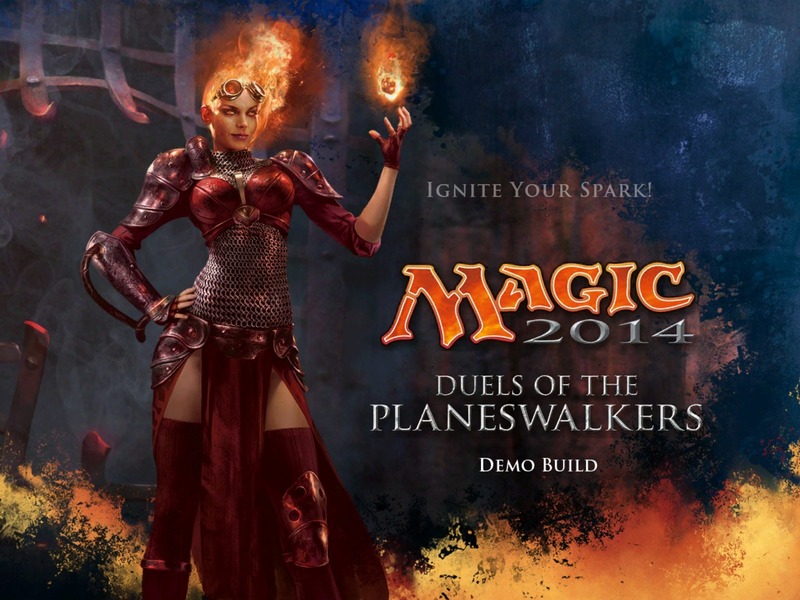 Attendees at the PAX East convention taking place in Boston this weekend are invited to come to the Magic: The Gathering booth (#562) to demo Magic 2014 - Duels of the Planeswalkers on PC and iPad, earn exclusive Chandra themed items, purchase current product and licensed goods and help Chandra in her quest to receive a flame-kissed picture with Chandra. Fans of the paper game will have a chance to play Magic against invited celebrities on the show floor or participate in events designed for players of all levels in Gaming Hall B. In addition, 16 players will compete for the Magic Online Championship, with tournaments running all three days of the show, and the Magic: The Gathering panel will take place on Saturday in the Corgi Theatre. *Launch timing may vary by platform and region. Only iPad platform available in China. 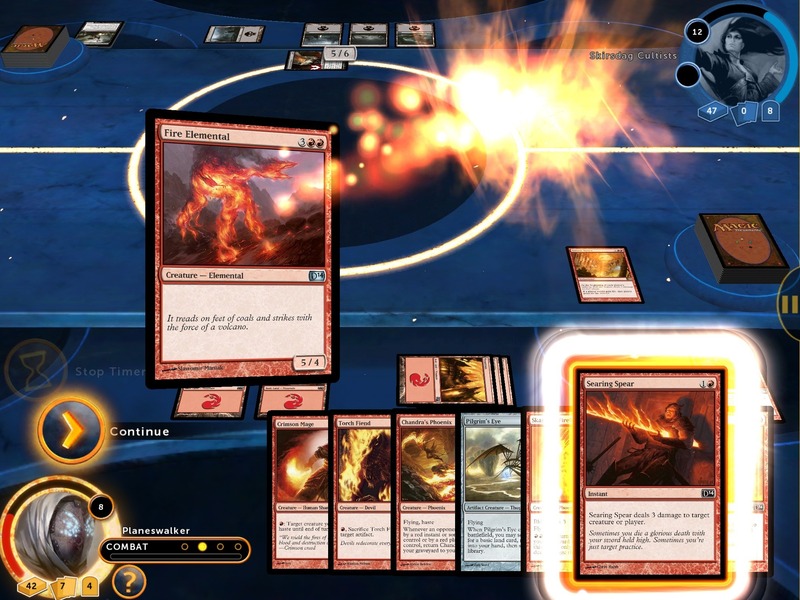 Magic: The Gathering is the first and most widely played trading card game. Players take on the role of Planeswalkers – powerful mages who battle others for glory, knowledge and conquest. Their weapons include spells, creatures, and artifacts gathered from a vast Multiverse of unique fantasy worlds. With more than 12 million players and fans worldwide, Magic is printed in 11 languages and played in more than 70 countries. For more information about Magic 2014, visitwww.magicthegathering.com. ©2013 Wizards of the Coast LLC. Wizards of the Coast, Magic: The Gathering, Magic, Magic Online, Duels of the Planeswalkers, Dungeons & Dragons, Kaijudo and their respective logos are trademarks of Wizards of the Coast LLC in the U.S.A. and other countries. Xbox LIVE, and XBOX Live Arcade are trademarks of the Microsoft group of companies. Steam is a trademark registered trademark of Valve Corporation in the U.S. and other countries. The PlayStation Network is a service mark of Sony Computer Entertainment Inc. iPad is a is a trademark of Apple Inc., registered in the U.S. and other countries. Android is a trademark of Google Inc. All other trademarks are property of their respective owners.